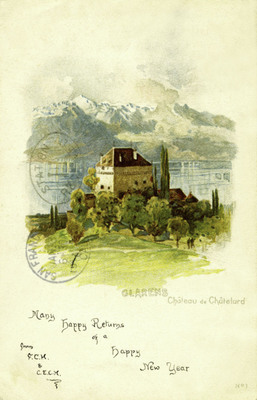 "Montreux - Clarens - Château de Châtelard"
One color postcard with an undivided back. The postcard was published by Vouga & Cie in Zurich, Switzerland. Many Happy Returns of a Happy New Year From F.C.H. & C.E.C.H.